Bitcoin's price dropped in the past week from the last plateau of about $240, to bottom out yesterday at around $218 and then begin to recover. 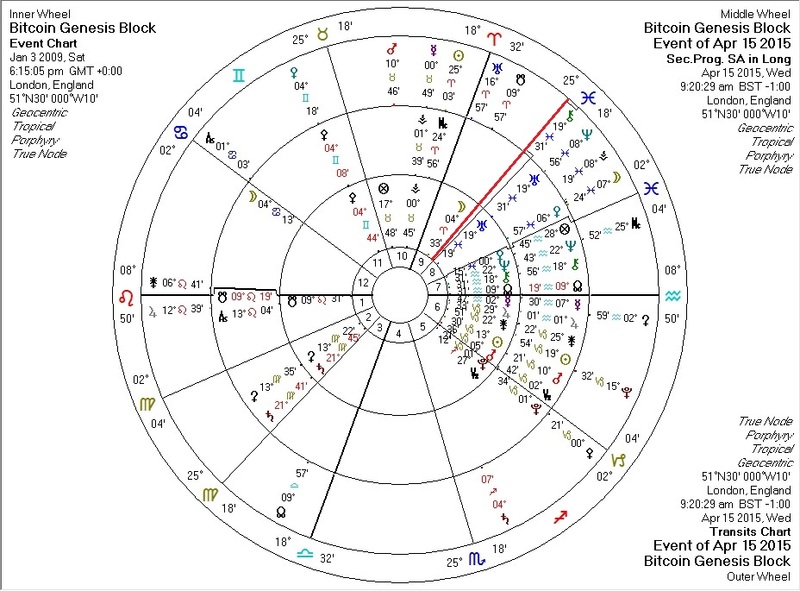 If there's an astrological trigger, it would be a slow moving planet reaching the perfection of a transit against the Bitcoin chart on or near yesterday. Looks like our friend Chiron, conjoining Bitcoin's natal/progressed Uranus, may be to blame. Uranus rules Bitcoin's "natal" Chiron, and Chiron's energies in general do not seem to be friendly to Bitcoin's valuation as earlier posts will attest.